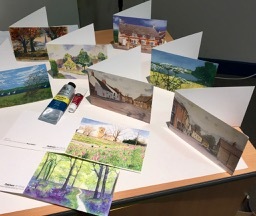 Members of the Group produce greetings cards, C6 size, featuring some of their original paintings. The insides are plain white awaiting your own message. These are available at Walkers Bookshop in Oakham High Street, priced 99p each including envelope.